An orofacial pathway that drives emotional reactions. M. Elbaz, A. Callado-Pérez, M. Demers, D. Kleinfeld* and M. Deschênes*, under final preparation. Can one concurrently record electrical spikes from every neuron in a mammalian brain? D. Kleinfeld*, L. Luan, P. P. Mitra, J. T. Robertson, K. Shepard, C. Xie, and T. D. Harris*, submitted. Orofacial movements involve parallel corticobulbar projections from motor cortex to trigeminal premotor nuclei. N. Mercer Lindsay, P. M. Knutsen, A. Lozada, D. Gibbs, H. J. Karten and D. Kleinfeld, Neuron under review. Direct wavefront sensing enables functional imaging of infragranular axons and spines. R. Liu, Z. Li, J. S. Marvin and D. Kleinfeld, Nature Methods (2019) in press. Awake mouse imaging: From two-photon microscopy to blood-oxygen-level dependent functional magnetic resonance imaging. M. Desjardins, K. Kıvılcım; M. Thunemann, C. Mateo, D. Holland, C. G. L. Ferri, J. Cremonesi, B. Li, Q. Cheng, K. L. Weldy, P. A. Saisan, D. Kleinfeld, T. Komiyama, T. T. Liu, R. Bussel, E. C. Wong, M. Scadeng, A. K. Dunn, D. A. Boas, S. Sakadžić, J. B. Mandeville, R. B. Buxton, A. M. Dale and A. Devor, Biological Psychiatry: Cognitive Neuroscience and Neuroimaging (2019) in press. An active texture-based digital atlas enables automated mapping of structure and markers across brains. Functional brainstem circuits for control of nose motion. A. Kurnikova, M. Deschênes and D. Kleinfeld, Journal of Neurophysiology (2019) 121:205–217. 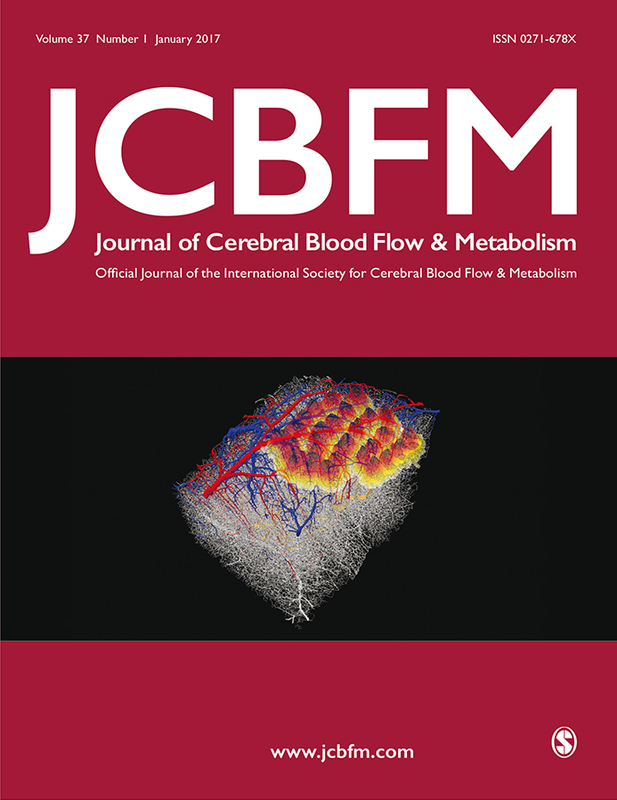 Simulations of blood as a suspension predicts a depth dependent hematocrit in the circulation throughout the cerebral cortex. G. Hartung, C. Vesel, R. Morley, A. Alaraj, J. Sled, D. Kleinfeld and A. Linninger, Public Library of Science: Computational Biology (2018) 14:e1006549. Comparing two classes of biological distribution systems using network analysis. L. Papadopoulos, P. Blinder, H. Ronellenfitsch, F. Klimm, E. Katifori, D. Kleinfeld and D. S. Bassett, Public Library of Science: Computational Biology (2018) 14:e1006428. Ultra-slow single-vessel BOLD and CBV-based fMRI spatiotemporal dynamics and their correlation with neuronal intracellular calcium signals. Y. He, M. Wang, X. Chen, R. Pohmann, J. R. Polimeni, K. Scheffler, B. R. Rosen, D. Kleinfeld and X. Yu, Neuron (2018) 97:925–939 (PMC5845844). L. E. McElvain*, B. Friedman*, H. J. Karten, K. Svoboda, F. Wang, M. Deschênes and D. Kleinfeld, Neuroscience (2018) 368:152–170 (PMC5849401). Entrainment of arteriole vasomotor fluctuations by neural activity is a basis of blood-oxygenation-level-dependent “resting-state” connectivity. C. Mateo, P. M. Knutsen, P. S. Tsai, A. Y. Shih and D. Kleinfeld, Neuron (2017) 96:936–948 (PMC5851777). The impact of vessel size, orientation and intravascular contribution on the neurovascular fingerprint of BOLD bSSFP fMRI. M. G. Báez-Yánez, P. Ehses, P. Mirkes, P. S. Tsai, D. Kleinfeld and K. Scheffler, NeuroImage (2017) 163:13–23 (PMC5857886). Precision mapping of vibrissa representation within murine primary somatosensory cortex. P. M. Knutsen, C. Mateo and D. Kleinfeld, Philosophical Transactions of the Royal Society B (2016) 371:20150351 (PMC5003853). The roadmap for estimation of cell-type-specific neuronal activity from noninvasive measurements. H. Uhlirova, K. Kılıc, P. Tian, S. Sakadžić, L. Gagnon, M. Thunemann, M. Desjardins, P. A. Saisan, K. Nizar, M. A. Yasseen, D. J. Hagler, Jr., M. Vandenberghe, S. Djurovic, O. A. Andreassen, G. A. Silva, E. Masliah, D. Kleinfeld, S. Vinogradov, R. B. Buxton, G. T. Einevoll, D. A. Boas, A. M. Dale and A. Devor, Philosophical Transactions of the Royal Society B (2016) 371:20150356 (PMC5003857). Analysis of neuronal spike trains, deconstructed. Y. Aljadeff, B. J. Lansdell, A. L. Fairhall and D. Kleinfeld, Neuron (2016) 91:221-259 (PMC4970242). Circuits in the ventral medulla that phase lock motoneurons for coordinated sniffing and whisking. M. Deschênes, A. Kurnikova, M. Elbaz and D. Kleinfeld, Neural Plasticity (2016) ID 7493048, 9 pages, http://dx.doi.org/10.1155/2016/7493048 (PMC4887653). Construction of cell-based neurotransmitter fluorescently engineered reporters (CNiFERs) for optical detection of neurotransmitters in vivo. Featured in the American Chemical Society feed "Watching thoughts - and addiction - form in the brain", Science Daily, 22 August 2016. D. Kleinfeld, M. Deschênes and N. Ulanovsky, Public Library of Science: Biology (2016) 14:e1002385 (PMC4758648). Vibrissa self-motion and touch are reliably encoded along the same somatosensory pathway from brainstem through thalamus. Ultra–large field-of-view two-photon laser scanning microscopy. D. Kleinfeld, J. D. Moore, F. Wang and M. Deschênes In Cold Spring Harbor Symposia on Quantitative Biology: Cognition, Volume 79, 2015, 79:29-39 (PMC4924579). Juxtacellular monitoring and localization of single neurons within sub-cortical brain structures of alert, head-restrained rats. Deflection of a vibrissa leads to a gradient of strain across mechanoreceptors in the mystacial follicle. The musculature that drives active touch by vibrissae and nose in mice. A. Y. Shih*, C. Rühlmann*, P. Blinder, A. Devor, P. J. Drew. B. Friedman, P. M. Knutsen, P. D. Lyden, C. Mateo, L. Mellander N. Nishimura, C. B. Schaffer, P. S. Tsai and D. Kleinfeld, Microcirculation (2015) 22:204-218 (PMC4393797). Fluorescently labeled peptide highlights degenerated facial nerve branches during surgery and improves functional outcome. Muscles involved in naris dilation and nose motion in rat. Cell-based reporters reveal in vivo dynamics of dopamine and norepinephrin release in murine cortex. Activation and measurement of free whisking in the lightly anesthetized rodent. More than a rhythm of life: Breathing as a binder of orofacial sensation. Mediation of muscular control of rhinarial motility in rats by the nasal cartilaginous skeleton. All-optical osteotomy to create windows for transcranial imaging in mice. ReaChR: A red-shifted variant of channelrhodopsin enables neuronal activation through the intact skull. The cortical angiome: An interconnected vascular network with noncolumnar patterns of blood flow. Articles based on the UCSD press release "3-D map of blood vessels in cerebral cortex holds surprises" appeared in Africa-News, Association Alzheimer-Riese (Italy), Bio-Medicine, EurekAlert, Health Medicine Network, Journaux-Francais, MedicalPress (Spain), MyScience, News-Medical (France; Germany; Italy; Korea Poland; Russia; Spain), ScienceDaily, and ZeeNews. The smallest stroke: Occlusion of one penetrating vessel leads to infarction and a cognitive deficit. Vectorization of optically sectioned brain microvasculature: Learning aids completion of vascular graphs by connecting gaps and deleting open-ended segments. Dorsorostral snout muscles in the rat subserve coordinated movement for whisking and sniffing. Sniffing and whisking in rodents. A polished and reinforced thinned skull window for long-term imaging and optical manipulation of the mouse cortex. Prospect for feedback guided surgery with ultra-short pulsed laser light. Large-scale automated histology in the pursuit of connectomes. Neuronal basis for object location in the vibrissa scanning sensorimotor system. Primary motor cortex reports efferent control of vibrissa position on multiple time scales. Photon counting, censor corrections, and lifetime imaging for improved detection in two-photon microscopy. Fluctuating and sensory-induced vasodynamics in rodent cortex extend arteriole capacity. A guide to delineate the logic of neurovascular signaling in the brain. Characterizing ligand-gated ion channel receptors with genetically encoded Ca2+ sensors. Chronic optical access through a polished and reinforced thinned skull. Spatio-temporally focused femtosecond laser pulses for nonreciprocal writing in optically transparent materials. Automatic identification of fluorescently labeled brain cells for rapid functional imaging. Temporally focused femtosecond laser pulses for low numerical aperture micromachining through optically transparent materials. Topological basis for the robust distribution of blood to rodent neocortex. Optimizing the fluorescent yield in two-photon laser scanning microscopy with dispersion compensation. An in vivo biosensor for neurotransmitter release and in situ receptor activity. Journal cover based on article. Rapid determination of particle velocity from space-time images using the Radon transform. B. Pesaran and D. Kleinfeld. Proceedings of the National Academy of Sciences USA (2009) 106:19209-19210 (PMC2780815). Correlations of neuronal and microvascular densities in murine cortex revealed by direct counting and colocalization of nuclei and vessels. Severe blood brain barrier disruption and surrounding tissue injury. The glial response is an essential component of hypoxia-induced erythropoiesis in mice. Phase-to-rate transformations encode touch in cortical neurons of a scanning sensorimotor system. Preliminary aspects of this work were the subject of a news release at the 2007 Society for Neuroscience Annual Meeting. Plasma-mediated ablation: An optical tool for submicrometer surgery on neuronal and vascular systems. Active dilation of penetrating arterioles restores red blood cell flux to penumbral neocortex after focal stroke. Advancing multifocal nonlinear microscopy: Development and application of a novel multibeam Yb:KGd(WO4)2 oscillator. Selected by the editor-in-chief, Gregory Faris, for publication in the Virtual Journal for Biomedical Optics. Finding coherence in spontaneous oscillations. P. J. Drew, J. H. Duyn, E. Golanov and D. Kleinfeld, Nature Neuroscience (2008) 11:991-993. Texture coding in the rat whisker system: Slip-stick versus differential resonance. "Where" and "What" in the whisker sensorimotor system. In vivo measurements of blood flow and glial cell function with two-photon laser scanning microscopy. Biomechanics of the vibrissa motor plant in rat: Rhythmic whisking consists of triphasic neuromuscular activity. Wilder Penfield in the age of YouTube: Visualizing the sequential activation of sensorimotor areas across neocortex. D. Kleinfeld and J. Waters, Neuron (2007) 56:760-762. Spherical aberration correction in nonlinear microscopy and optical ablation using a transparent deformable membrane. Suppressed neuronal activity and concurrent arteriolar vasoconstriction may explain negative blood oxygenation level-dependent signal[s]. Is there a common origin to surround-inhibition as seen through electrical activity versus hemodynamic changes? Focus on "Duration-dependent response in SI to vibrotactile stimulation". Large two-photon absorptivity of hemoglobin in the infrared range of 780 - 880 nm. Active sensation: Insights from the rodent vibrissa sensorimotor system. Laser photoablation: A new biomedical tool. Exploratory whisking by rat is not phase-locked to the hippocampal theta rhythm. Seeing what the mouse sees with its vibrissae: A matter of behavioral state. J. C. Curtis and D. Kleinfeld. Neuron (2006) 50:524-526. MPScope: A versatile software suite for multiphoton microscopy. Targeted insult to individual subsurface cortical blood vessels using ultrashort laser pulses: Three models of stroke. D. Kleinfeld and S. B. Mehta. Progress of Theoretical Physics, Supplement (2006) 161:86-98. Two-photon imaging of cortical surface microvessels reveals a robust redistribution in blood flow after vascular occlusion. Spectroscopy of third harmonic generation: Evidence for resonances in model compounds and ligated hemoglobin. Coding of stimulus frequency by latency in thalamic networks through the interplay of GABAB-mediated feedback and stimulus shape. From art to engineering? The rise of in vivo mammalian electrophysiology through genetically targeted labeling and nonlinear imaging. A femtosecond laser-drilled capillary integrated into a microfluidic device. Activation of nucleus basalis facilitates cortical control of a brainstem motor program. Positive feedback in a brainstem tactile sensorimotor loop. Goal-directed whisking behavior increases phase-locking between vibrissa movement and electrical activity in primary sensory cortex in rat. 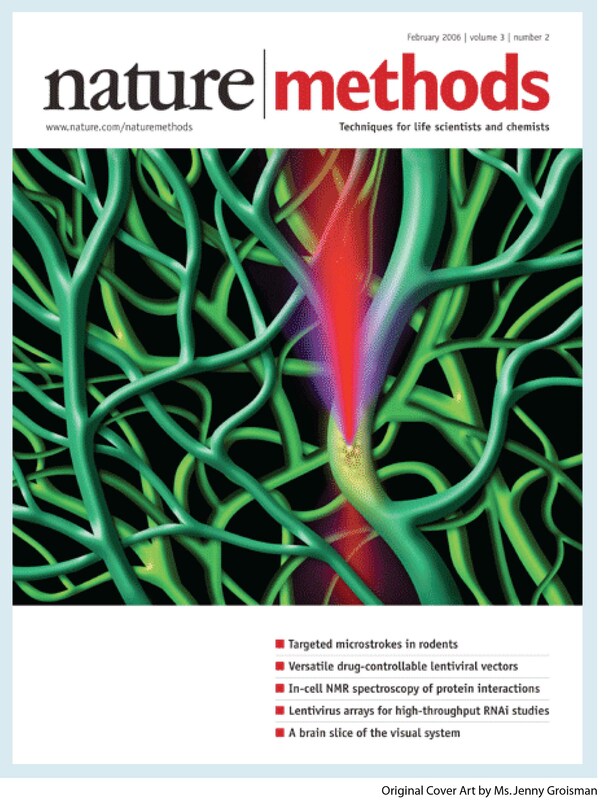 Beyond observation: Microscopy with ultrashort laser pulses to probe and manipulate cortical vasculature. Current flow in vibrissa motor cortex can phase-lock with exploratory whisking in rat. 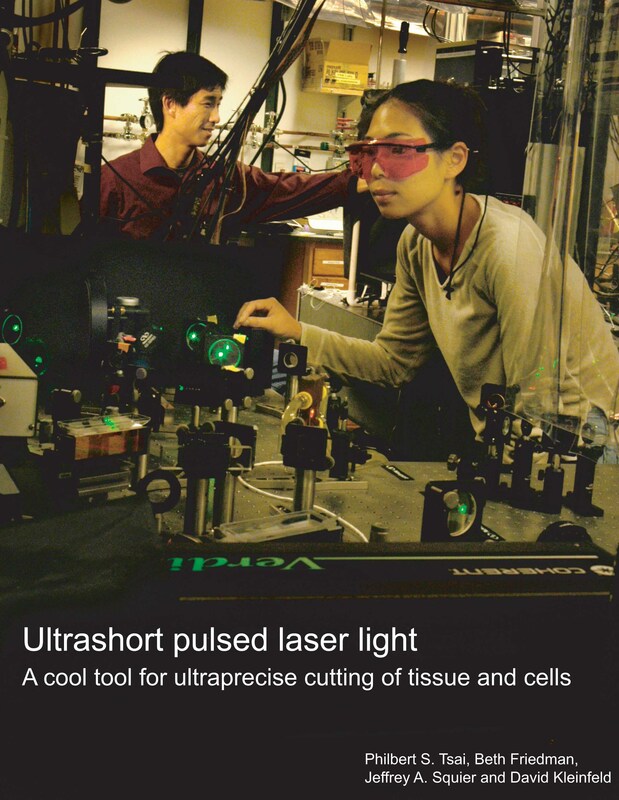 Ultrashort pulsed laser light: A cool tool for ultraprecise cutting of tissue and cells. Developmental regulation of active and passive membrane properties in rat vibrissa motoneurons. Frisking the whiskers: Coding of patterned sensory input in the rat vibrissa system. Featured in "Synaptic plasticity: Ups and downs of cerebellar plasticity" by S. Farley, Nature Reviews of Neuroscience 5:85 (2004). Imaging reveals synaptic targets of a swim-terminating neuron in the leech CNS. Vibrissa movement elicited by rhythmic electrical microstimuation to motor cortex in the aroused rat mimics exploratory whisking. All-optical histology using ultrashort laser pulses. Unilateral vibrissa contact: Changes in amplitude but not the timing of vibrissa movement. Rhythmic whisking in rat: Retraction as well as protraction is under active muscular control. Closed loop neuronal computations: Focus on vibrissa somatosensation in rat. E. Ahissar* and D. Kleinfeld*. Cerebral Cortex (2003) 13:53-62. Spectral mixing of rhythmic neuronal signals in sensory cortex. Adaptive filtering of vibrissa input in motor cortex of rat. D. Kleinfeld, R. N. S. Sachdev, L. M. Merchant, M. R. Jarvis and F. F. Ebner. Neuron (2002) 34:1021-1034. Featured in "How does the human brain regulate sensory information", Medical Device and Diagnostic Industry (R&D Digest, July 2002). Coherent electrical activity between vibrissa sensory areas of cerebellum and neocortex is enhanced during free whisking. Cortical imaging through the intact mouse skull using two-photon excitation laser scanning microscopy. Traveling electrical waves in cortex: Insights from phase dynamics and speculation on a computational role. G. B. Ermentrout* and D. Kleinfeld*. Neuron (2001) 29:33-44. Chattering and differential signal processing in identified motion-sensitive neurons of parallel visual pathways in the chick tectum. Distributed and largely separate pools of neurons may drive two different components of the gill withdrawl reflex in Aplysia. Direct evidence for local oscillatory current sources and intracortical phase gradients in turtle visual cortex. Dendritic Ca2+-activated K+ conductances regulate electrical signal propagation in an invertebrate neuron. Ultra-miniature headstage with 6-channel drive and vacuum-assisted micro-wire implantation for chronic recording from the neocortex. Identification of neural circuits by imaging coherent electrical activity with FRET-based dyes. Supralinear summation of synaptic inputs by an invertebrate neuron: Dendritic gain is mediated by an "inward rectifier" K+ current. Anatomical loops and their electrical dynamics in relation to whisking by rat. Fluctuations and stimulus-induced changes in blood flow observed in individual capillaries in layers 2 through 4 of rat neocortex. Featured in "Multiphoton microscopy" by E. Samuel, OPN Trends, supplement to Optics & Photonics News (2001) 1:12-15. Reproduced in "Multiphoton Excitation Microscopy" (B.R. Masters, editor), 2003, SPIE Milestone Series of Selected Reprints, Bellingham, WA. Charge displacements in interfacial layers containing reaction centers. Voltage-sensitive dyes for monitoring multineuronal activity in the intact central nervous system. J.-Y. Wu, Y.-W, Lam, C. X. Falk, L. B. Cohen, J. Fang, L. Loew, J. C. Prechtl, D. Kleinfeld and Y. Tsau. Histochemical Journal (1998) 30:169-187. Central versus peripheral determinates of patterned spike activity in rat vibrissa cortex during whisking. In vivo dendritic calcium dynamics in neocortical neurons. Featured in "The year of the dendrite" by T.J. Sejnowski, Science (1997) 275:178-179. Variability of extracellular spike waveforms of cortical neurons. Automatic sorting of multiple unit neuronal signals in the presence of anisotropic and non-Gaussian variability. Distributed representation of vibrissa movement in the upper layers of somatosensory cortex revealed with voltage sensitive dyes. Central and reflexive neuronal responses elicited by odor in a terrestrial mollusc. Oscillations and gaseous oxides in invertebrate olfaction. A. Gelperin, D. Kleinfeld, W. Denk and I. R. C. Cooke. Journal of Neurobiology (now Developmental Neurobiology) (1996) 30:110-122. BDNF and NT-4/5 exert neurotrophic influences on injured adult spinal motor neurons. On temporal codes and the spatiotemporal response of neurons in the lateral geniculate nucleus. Anatomical and functional imaging of neurons and circuits using two photon laser scanning microscopy. W. Denk, K. R. Delaney, A. Gelperin, D. Kleinfeld, B. Strowbridge, D. W. Tank and R. Yuste. Journal of Neuroscience Methods (1994) 54:151-162. Reproduced in "Multiphoton Excitation Microscopy" (B.R. Masters, editor), 2002, SPIE Milestone Series of Selected Reprints, Bellingham, WA. Odors, oscillations and waves: Does it all compute? Dynamics of propagating waves in the olfactory network of a terrestrial mollusc: An electrical and optical study. Waves and stimulus-modulated dynamics in an oscillating olfactory network. Stimulus dependent synchronization of neuronal assemblies. Noninvasive detection of changes in membrane potential in cultured neurons via light-scattering. Featured in "Noninvasive Optical Spectroscopy and Imaging of Human Brain Function", by A. Villringer and B. Chance, Trends in Neuroscience (1997) 20:435-442. Long-term optical recording of patterns of electrical activity in ensembles of cultured Aplysia neurons. Cooperative dynamics in visual processing. Comment on 'Physical mechanisms underlying neurite outgrowth: A quantitative analysis of neuronal shape'. Foreign connections are formed in vitro by Aplysia californica interneurone L10 and its in vivo followers and non-followers. Global processing of visual stimuli in a neural network of coupled oscillators. Reproduced in "Artificial neural networks: Oscillations, chaos, and sequence processing" (L. Wang and D.C. Alkon, editors), 1993, IEEE Computer Society Press, Los Alamitos, CA, pp. 70-74. Circuits constructed from identified Aplysia neurons exhibit multiple patterns of persistent activity. Optical recording of the electrical activity of synaptically interacting Aplysia neurons in culture using potentiometric probes. Associative neural network models for the generation of temporal patterns: Theory and application to central pattern generators. Reproduced in the anthology "Artificial neural networks: Oscillations, chaos, and sequence processing" (L. Wang and D.C. Alkon, editors), 1993, IEEE Computer Society Press, Los Alamitos, CA, pp. 56-69. Featured in "A new form of organic gardening" by I. Amato, Science (1992) 258:1084. "Unlearning" increases the storage capacity of content addressable memories. Sequential state generation by model neural networks. Charge recombination kinetics as a probe of protonation of the primary acceptor in photosynthetic reaction centers. Electron transfer in reaction centers from Rhodopseudomonas sphaeroides: II. Free energy and kinetic relations between the acceptors Q-AQ-B and QAQB2-. Electron-transfer kinetics in photosynthetic reaction centers cooled to cryogenic temperatures in the charge-separated state: Evidence for light-induced structural changes. Electron transfer in reaction centers from Rhodopseudomonas sphaeroides: I. Determination of the charge recombination pathway of DQAQ-B and free energy and kinetic relations between Q-AQB and QAQ-B. Damping of oscillations in the semiquinone absorption in reaction centers after successive flashes: Determination of the equilibrium between Q-AQB and QAQ-B.